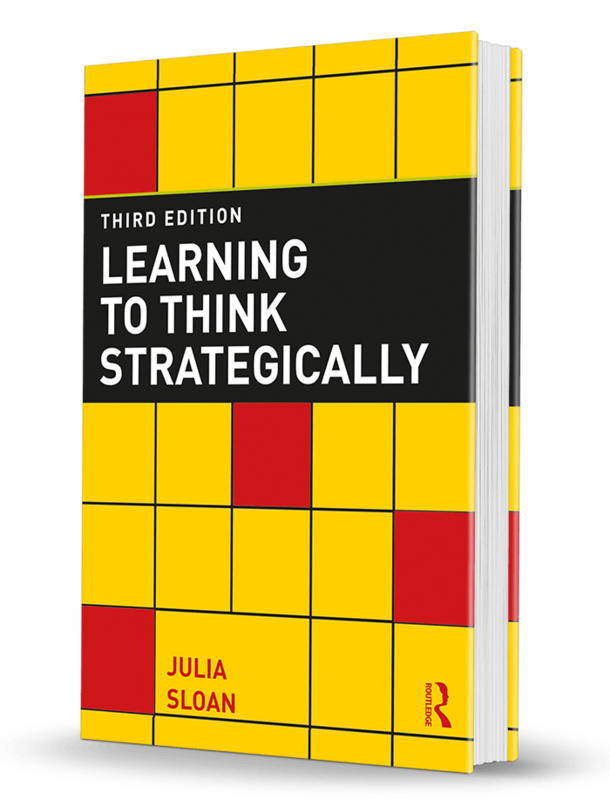 In this authoritative book, Dr. Julia Sloan presents a previously unexamined account of the relationship between strategic thinking and the learning process involved — taking learning from the academic to the everyday. The book traces the history of strategy, differentiates strategic thinking from planning, describes the influence of culture, streamlines the roles of rationality and intuition and identifies five key attributes for learning to think strategically. Learning To Think Strategically is based on research that draws upon real-life lessons of global business strategists and the application of those lessons for corporations, consultants and academics. Frequently, executives are hammered for not being good strategic thinkers, but rarely do they (or their bosses) know how to improve. Strategic thinking is based on critical theory and supported by a complex cluster of cognitive capabilities that are distinct and different from strategic planning. The ability to change a frame of reference is a hallmark of successful strategists; in order to do this, strategists need to be able to shift or shatter perspectives and create new ways of looking at situations. Truly innovative strategic thinking is not about playing out new patterns in existing frameworks but, rather, about creating new frameworks and different patterns within these new frameworks. Executives may “act” in accordance with compliance requirements while their beliefs, blind spots and biases remain unchanged. Strategists must be willing to seek out facts that might disconfirm a generally-held belief and be willing to explore other possibilities. Questions are more powerful than statements when attempting to solve difficult strategy problems. Interestingly, it is nearly impossible for any one person to dominate within a good dialogue, when everyone is expected to focus on questioning. Dialogue partners must agree that a dialogue will emerge and go places that a discussion or debate would not, because dialogue is divergent. There is always an element of surprise and uncertainty, even tension in a good critical dialogue.